The sixty-ninth episode of the Yes Music Podcast featuring the 1981 compilation album, ‘Classic Yes’. Is it possible to have a single album with a representative selection of Classic Yes tracks? Are the right tracks here in the right order? 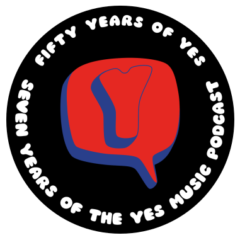 The sixty-sixth episode of the Yes Music Podcast featuring plans for 2013 in a very brief episode. Listen and then let me know your ideas for the next year of the Yes Music Podcast by contacting me via any of the different routes on the right hand side or by leaving a comment below! Have I done everything I had planned for 2012? What does the future hold for the podcast? What is already lined up?